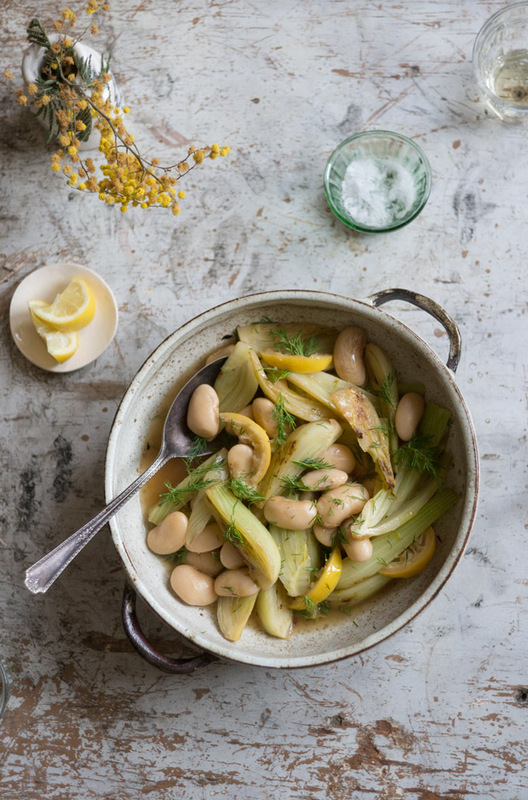 Baby fennel, big white beans, sliced lemon, a honey-kissed in-pan white wine sauce, all finished with a shower of chopped dill. If any of you are in a side-dish rut, I'm going to lobby for trying this. It's fast, it's good, and as a base idea, it's flexible. You can make the beans as instructed below, or use the recipe as a jumping off point. Add a poached egg on top to make a complete one bowl meal. Or, add a few cups of water (or herby broth), season well, and you have a bright, substantial stew. If you make it in an oven-proof skillet, you can top it with feta, chopped olives, and breadcrumbs, and bake it into a crunchy-topped gratin. HS: Large corona beans, or gigante beans are my favorite here, but white cannellinis are also a great option. To get the smoothest, creamiest hummus using chickpeas, you have to peel them. For creamy hummus, without the extra effort, I use mung beans instead. They work beautifully. Top the hummus with shallot oil, fresh chives, and za'atar.